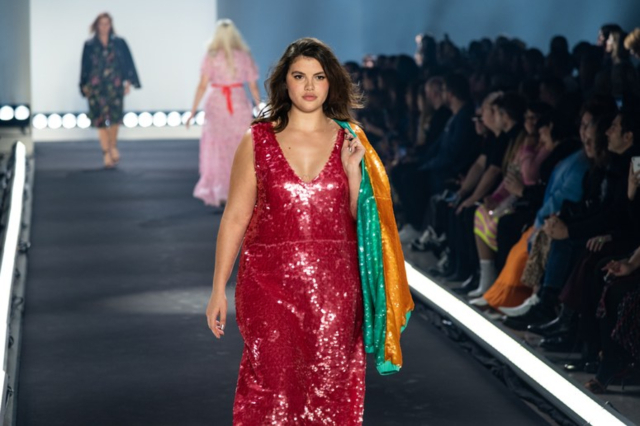 11 Honoré, the leading plus-size e-tailer of designer clothing, kicked off New York Fashion Week with huge success! For decades, designers operated on the unfounded standards of what a runway model looks like: tall, thin, and mostly white. But then here comes 11 Honoré, founded by Patrick Herning, the e-commerce high-end brand significantly challenging the fashion world’s body exclusivity. Now, for the first time, this groundbreaking e-commerce brand staged a runway show at the New York Fashion Week to prove that all bodies can look beautiful in designer wear. Herning says that the show was about “rewriting the story of what fashion has been traditionally and moving forward to celebrate the beauty and strength of women.” Featuring designers like Brandon Maxwell, Christian Siriano, Prabal Gurung, and Cushnie and curvy models like Candice Huffine, Solange Van Doorn, and Laverne Cox, 11 Honoré’s show was a catalyst for change that we can only hope the fashion world will accept more with open arms. Styles for every body and occasion were showcased on the ramp: from flowy print dresses to a glittery red-sequined one, the models flaunted their curves and colors in all their glory. During the show’s grand finale, actress Laverne Cox led an army of beautiful plus-size women down the runway in a Zac Posen gown under a rain of confetti. 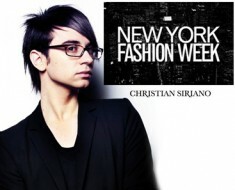 Triumph and applause filled the air from the fact that true change is finally happening in the fashion world. 11 Honoré graced its New York Fashion Week debut with a Shopify-powered catalog that allowed attendees to shop off the runway using QR codes. These QR codes directed shoppers to the retailer’s online store, where they could purchase the products in sizes 12 through 18 in real time. You may also visit the 11 Honoré x Shopify pop-up to see the collection at 157 Hudson Street in New York City from February 7 to 14. In an industry where seeing a curvy model on a catwalk is a rare occurrence, this is revolutionary.